Spring is here and I am here in southern Florida. My first crack-of-dawn stop: the local green market. Eyeing what grows, what sells, who buys it and what people eat, I buy two bags full of fresh-picked promise. 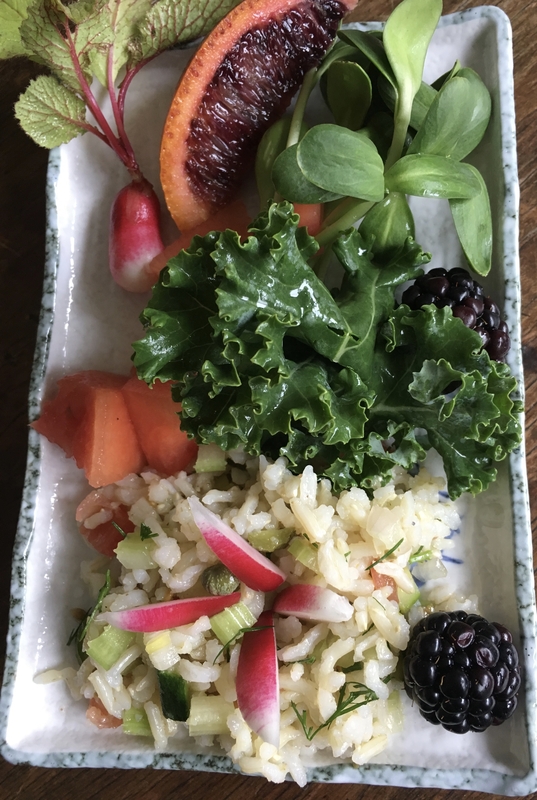 I make a simple plate of raw sunflower sprouts, bi-colored breakfast radishes, a curly Winterbor kale leaf, watermelon, blackberries and blood oranges, accompanying leftover brown basmati rice salad. It is bitter, spicy, sweet, sprinkled with salt and drizzled in sour. 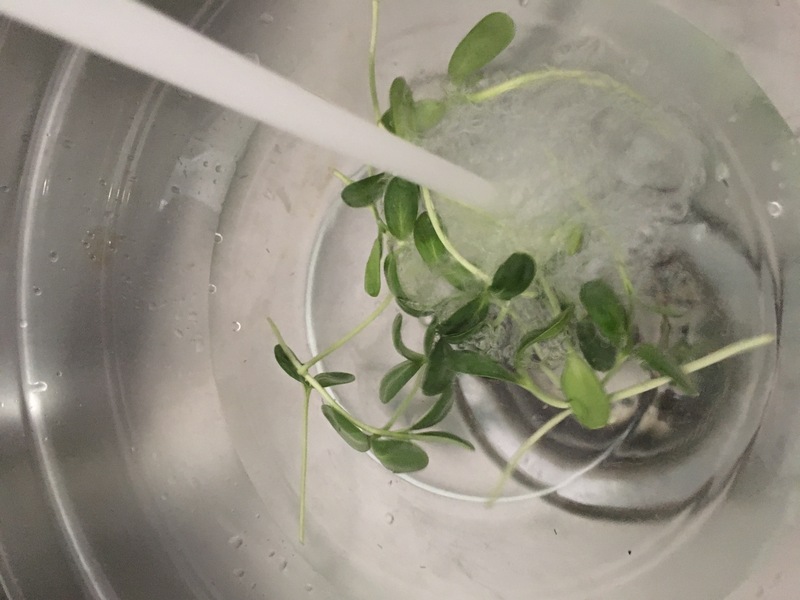 Wash the sunflower shoots, kale, radishes, blackberries, celery, tomatoes, dill and parsley well. Cut the watermelon into bite-sized chunks. 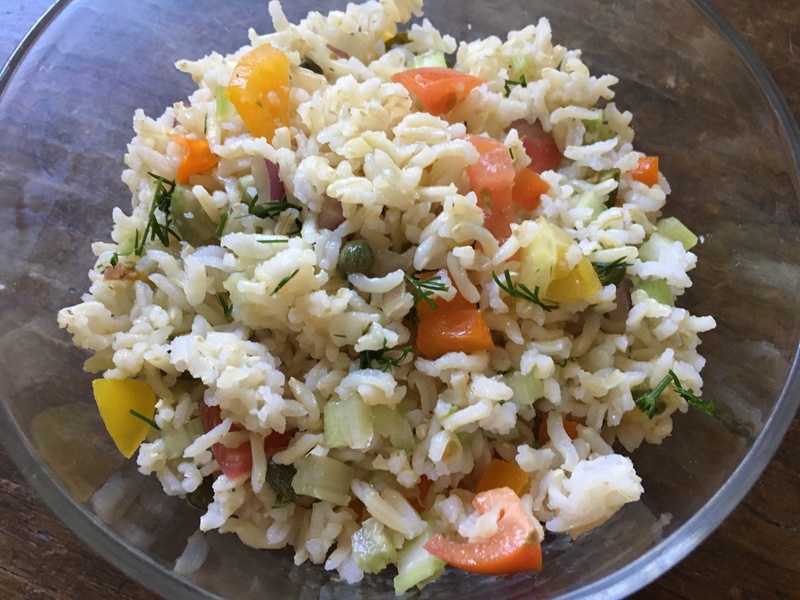 Make the rice salad by combining the cooked rice, chopped celery, tomatoes, red onion, dill, parsley and capers together in a bowl. Sprinkle with sea salt with sea vegetables. Drizzle with olive oil and mix it all together well. 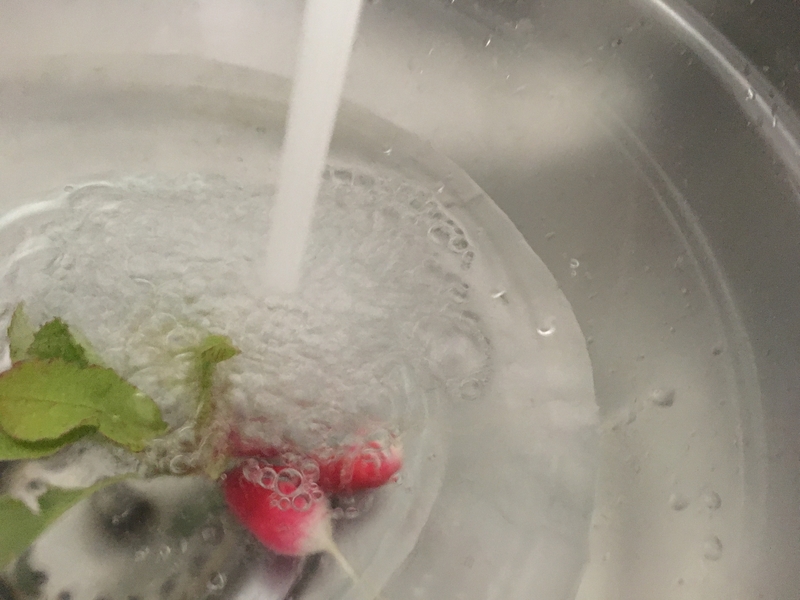 Now quarter one of the breakfast radishes. 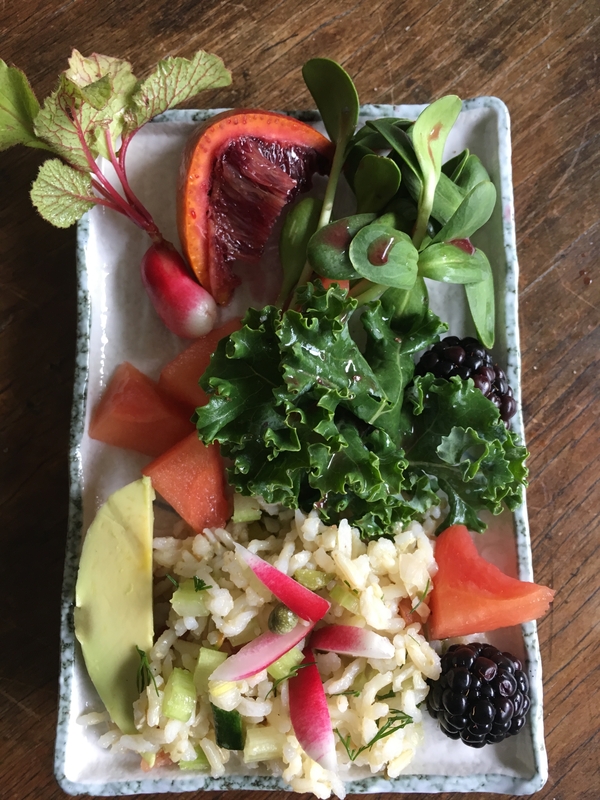 Place the rice salad on a plate and garnish with the radish quarters. 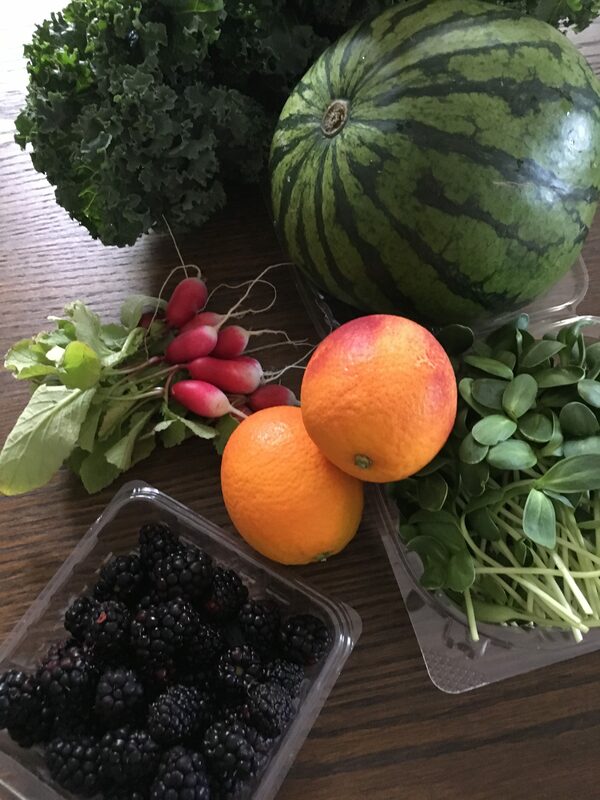 Then arrange the sunflower shoots, kale leaf, watermelon chunks, blackberries and avocado (if using). Now slice the blood orange into about 6 sections and squeeze the juice of one or two sections onto everything on the plate.